I want to wish all of you a very happy, successful and prosperous New Year. This certainly is a very exciting and significant time in world history—2017—the beginning of the third millennium. Sadly, it is all too easy in today’s world to adapt the attitude of “Look at the world today, have you ever seen such a mess?” This certainly seems to be the case, and there are many “wrongs” that appear to be triumphing. But, I would like to challenge each and every one of you to adapt an attitude of “What can I do today, here and now, to make the world a better place?” By this, I am not suggesting you have to go out and perform some grand acts. To make a difference in the world it does not necessarily require “big things”, but rather little things, (kind acts, lending a helping hand), done on a consistent basis, can go a long ways to make a difference in this world. Will you join me this coming year to make a personal commitment to always “help one another” whenever you have the opportunity? This can be applied in many ways, and certainly if you have been helped through the use of MMS, help others who need this amazing master miracle working solution as well—spread the word. 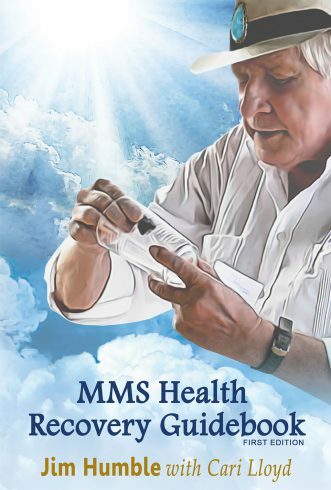 These past couple of years, you have not heard all that much from me personally, as I have been busy working on my newest book, the MMS Health Recovery Guidebook. But now, as we begin 2017, I have several new things to share with you. So stay tuned as over the next few weeks, as I will be announcing, via this newsletter, some significant news.